The FBI launched an investigation into whether Donald Trump had been working on behalf of Russia against American interests - and Trump went to extraordinary lengths to hide from his own administration the details of his conversations with Russian president Vladimir Putin, according to two bombshell reports. The constraints that Trump imposed are part of a broader pattern by the president of shielding his communications with Putin from public scrutiny and preventing even high-ranking officials in his own administration from fully knowing what he has told one of the United States' main adversaries. Then-secretary of state Rex Tillerson sat in on that meeting, but also failed to provide top officials with any details on its contents beyond an official readout issued after the sit-down. Trump's secrecy surrounding Putin "is not only unusual by historical standards, it is outrageous", said Strobe Talbott, a former deputy secretary of state now at the Brookings Institution, who participated in more than a dozen meetings between former presidents Bill Clinton and Boris Yeltsin in the 1990s. US counterintelligence investigators attempted to assess whether Trump's actions constituted a possible threat to national security, and agents also tried to determine whether Trump was knowingly working for Russian Federation or had unknowingly come under Moscow's influence, the Times reported. By May 2017, both Comey and Federal Bureau of Investigation lawyer Lisa Page told House investigators a year ago that by the time the Federal Bureau of Investigation director was sacked and special counsel appointed, there was no hard evidence of collusion between the Trump campaign and the Kremlin. Trump's Democratic opponents have continually accused him of being beholden to Russian Federation during the 2016 race and throughout his two years in office, despite multiple policy decisions which Moscow has vigorously criticised. "That meeting is open for grabs". As for his conversations with Putin, he said: "I'm not keeping anything under wraps, I couldn't care less". The FBI also considered whether the Republican president's firing of Comey amounted to obstruction of justice. 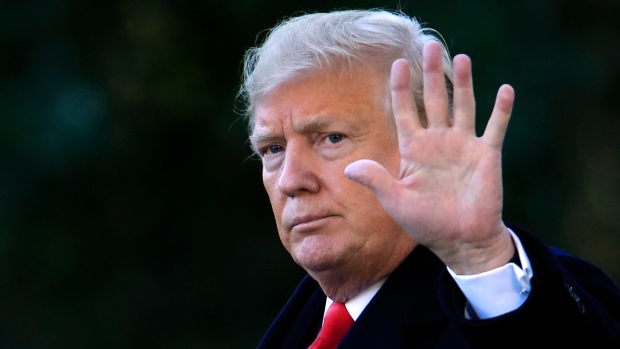 President Donald Trump has blasted the notion that he is a secret agent for Russian Federation, following a report that the FBI had investigated that possibility in 2017. In a series of early-morning tweets Trump said that the agency had opened a probe "for no reason and with no proof, after I fired Lyin' James Comey, a total sleaze". Sanders called the report "absurd". The inquiry started days after Trump fired the director of the FBI, James Comey. They discussed a range of options, including Rosenstein wearing a wire while speaking with Trump, which Rosenstein later denied.